Olé! Baby will have a fiesta with this Toucan Musical Play Arch. The multi-coloured bubbles and brightly coloured Toucan character will stimulate baby’s visual senses and textured bubbles encourage fine motor development. As baby reaches to spin the bubbles, grab and swat the hanging toys, gross motor skills will be practised. Sore gums can be soothed whilst on the go with the textured teether and the sun toy plays fun tunes for baby to bop along to. 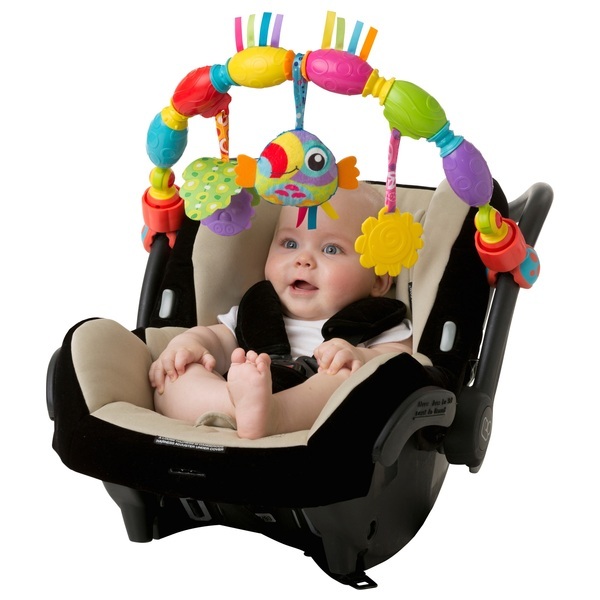 Easily clamped onto most prams, strollers and capsules, this festive play arch will make any outing a party.